Microsoft chief product officer Marc Whitten on Wednesday outlined an upcoming Xbox One update that will land on February 11. The update will arrive about a month before another system update designed to prepare Microsoft’s new console for Titanfall. Whitten didn’t spill all of the beans about next Tuesday’s update but here’s what we know thus far. 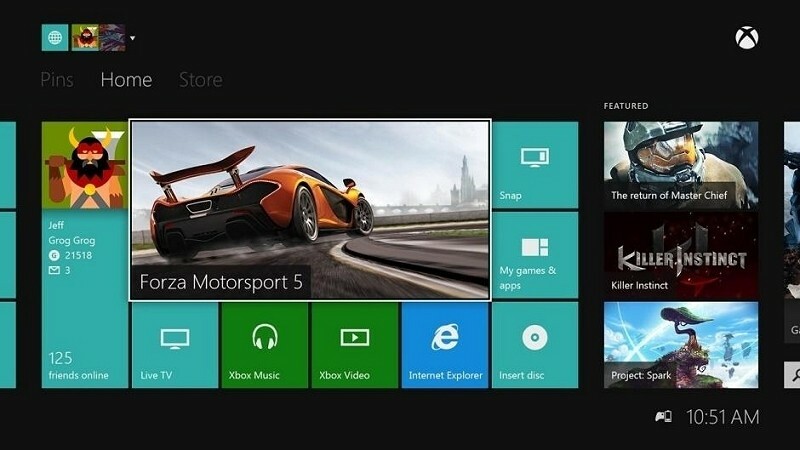 It’ll include a lot of behind-the-scenes updates for developers building apps and games for the Xbox One, several new features they believe Xbox fans will love, stability and product updates to improve the customer experience and continuous improvements to the quality of Kinect voice so commands become more fluid and responsive over time. Digging a bit deeper, the update will enable the ability to see and manage storage space. This will make it easier for gamers to see how much space content takes up. Additionally, Microsoft will separate My Games and My Apps into separate lists so it’ll be easier to manage the download queue. The battery power indicator is also making a return. It’ll be prominently displayed on the home screen so gamers can quickly see how much juice their controller has left. And last but certainly not least, the update will allow the use of USB keyboards with the Xbox One. As we previously highlighted, the March update will primarily address issues related to Xbox Live and more specifically, the party and multiplayer systems. Microsoft promises to share more details about these and other upcoming features in the coming weeks.